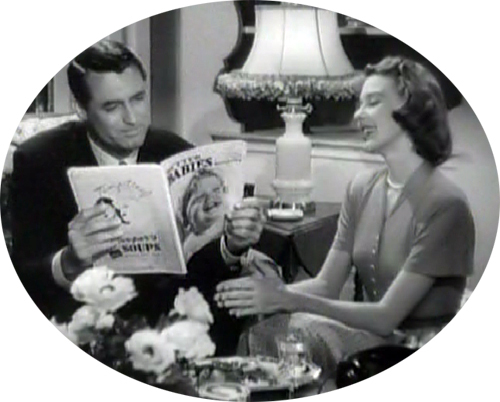 In real life, these two partnered in an exchange of vows and wedding rings in 1949, the year after they met and co-starred as a couple destined for marital bliss in the romantic comedy Every Girl Should Be Married (1948). Their marriage lasted until 1962 and Ms. Drake reportedly received a settlement that included proceeds from the 16 films Mr. Grant made during their 13-year marriage. 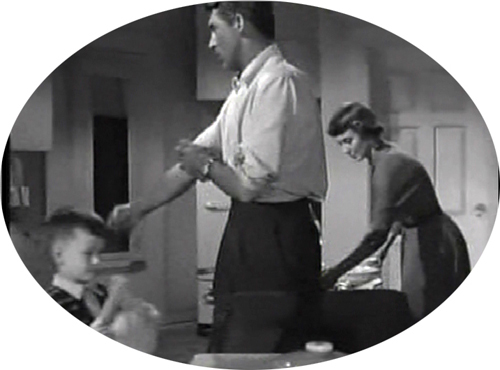 But they only appeared together in one other movie after 1948: playing husband and wife and parents to an assortment of adopted and biologically-related children in a sometimes poignant, sometimes funny Room for One More (1952). It’s worthy of note that the actor who played the youngest of the children in Room for One More, George Winslow, joined Mr. Grant again later in 1952 for the making of Monkey Business, where he similarly charmed the audience with his petit, yet deep voice and deadpan delivery, characteristics that earned him the sobriquet Foghorn.